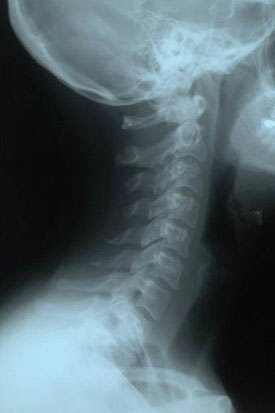 Structures that are dense (such as bone) will block most of the x-ray particles, and will appear white. Metal and contrast media (special dye used to highlight areas of the body) will also appear white. Structures containing air will be black, and muscle, fat, and fluid will appear as shades of gray (Medline Plus Sept 30, 2010). At MMI, patient safety is top priority—and that includes helping patients and their primary care clinicians manage their exposure to medical radiation for imaging exams. You can click here to learn more.